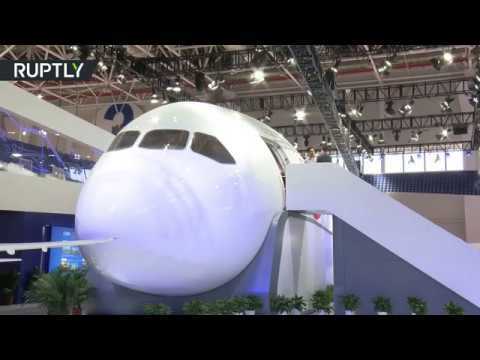 New joint Russia-China passenger jet mockup unveiled at Zhuhai airshow | We Seek the Truth! A mockup of the forward cabin section of a new passenger jet being jointly developed by Russia and China, was on display at China’s largest airshow in Zhuhai, in China’s southern Guangdong Province, on Wednesday. The CR929 is a wide-body passenger airliner that is currently projected to be flight-worthy in 2025 at the earliest. The project is a joint venture between the Chinese state-owned Commercial Aircraft Corporation of China (COMAC) and the Russian state-owned United Aircraft Corporation (UAC).